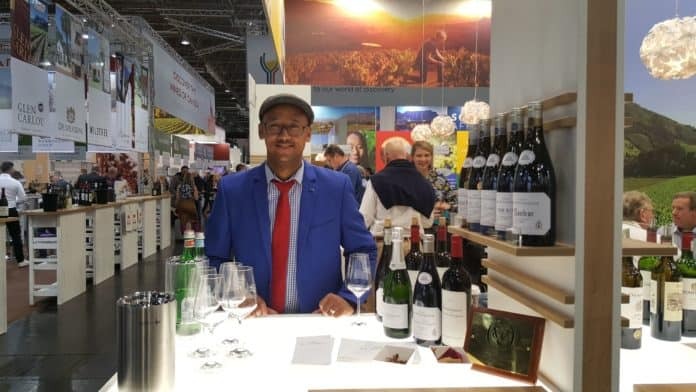 Food For Mzansi’s WineFARMacist, Heinrich Bothman recently visited Düsseldorf in Germany for the 25th edition of the ProWein trade fair. So, there I was, on my way to Düsseldorf in Germany for the 25th edition of the ProWein trade fair, trying my best to say “I love it when you talk foreign” in a heavy German accent. Little did I know that these Deutsche words would be the countdown to my very first overseas trip. You should know by now that I really love all things beverage. To me, it is the gift of giving life, quenching healing to the soul. A winemaker once told me that if life gives you lemons, you should obviously make lemonade, but if you’re depressed it’s better to make a good wine. Brilliance is created from our struggles. I often get pestered about my Deutsche name, Heinrich, although I love sharing my bizarre family heritage with everyone. Even my colleagues are by now well-versed with the intricacies of my mixed family. I easily shared my story with whoever wanted to hear it at ProWein, the world’s leading trade fair for wines and spirits; a pilgrimage of sorts where professionals from viticulture, production, trade and gastronomy meet once a year in western Germany. ProWein provides three days of concentrated business and a highly promising ancillary program. With nearly 7 000 exhibitors from all over the world, this makes for a very interesting take on the world of beverage and it’s also any Sommelier’s heaven. Have you ever tried wine beer though? I haven’t before encountered a beverage from Chile at ProWein. True to its saying, it’s a contradiction. It is 100% natural with as little as 127 calories per bottle for those that are health conscious. Is it a beer? Yes, grapes and hops are used as well as yeast to pack up the 9% alcohol spritzer. This is definitely a new category of beverage that integrates the wine, beer and sparkling wine processes. I have found it to be refreshing as a perfect thirst-quencher for the curious, and definitely the perfect aperitif for a club and possibly even the hospitality industry. Currently it’s only produced in Chile, although they are very keen on distributing it to the rest of the world. The question is: would you like to try this new beverage? Is South Africa ready for it? Saké, also known as rice wine. Aaah, and then there was saké, also referred to as Japanese rice wine. From wine, hops and yeast to rice wine… This was also a first for me thanks to ProWein. This alcoholic beverage is made by fermenting rice that has been polished to remove bran. It’s not necessarily your best source of protein, but the idea is there. The brewing process is also similar to that of beer, where starch is converted into sugars, which ferment into alcohol. For the kids at the back of the class, umami is the fifth taste recognised by Western scientists after salt, sweet, sour and bitter. It’s described as savoury and is the characteristic of broths and cooked meats. 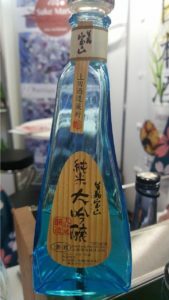 Besides being served straight, saké can be used as a mixer for cocktails too. Health benefits include the prevention of osteoporosis from the high amino acids present in saké and also contains peptides, which burns fat and build muscle. This prevents high blood pressure and even Alzheimer’s disease. Apparently. The Japanese claim that saké even gives you a good skin tone as the wine raises your body temperature for longer periods of time than other types of alcohol. This promotes more blood flow in the skin. For the sake (and saké!) of your own health, please drink up. It’s exactly what Food For Mzansi’s #WineFARMacist ordered. 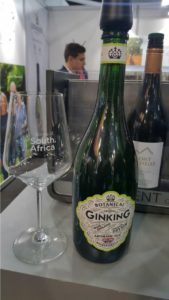 And then there was GinKing, another wine beer targeting the millennial market with a new product combining gin and English sparkling wine. Litmus Wines combines gin botanicals, English wine and sparkling spring water. It’s light and refreshing, low on alcohol (8.5%), and a pre-mixed sparkling beverage best served in a flute with a twist of orange peel. Litmus has ties with Sir Richard Branson’s Mont Rochelle Estate in Franschhoek in the Western Cape. Litmus Wines combines gin botanicals, English wine and sparkling spring water to create GinKing. Mont Rochelle is just one of the many international estates that enjoys great exposure to marketing in a red ocean of sharks. This can be good and bad, though, as it increases the critical thinking around changing the only 13% profitability level amongst South African producers to at least 20% through selling bottled wine in the next 10 years. How can we achieve that and still make the wine industry rewarding to the proprietors, stakeholders and, most importantly, the workers? Our very own #2019Harvest is looking glim, and some even refer to it as the 2013 horror harvest that the South African wine industry had to endure. 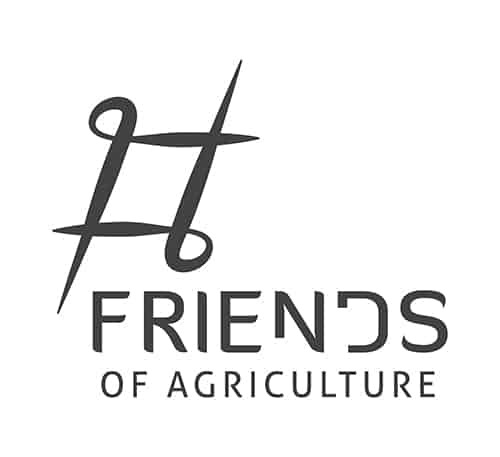 Francois Viljoen from VinPro explains that the rainfall that occurred in March in certain areas of the Western Cape necessitated greater inputs to control disease, while rot will also contribute to losses in certain wine grape areas and farms. From the outside and judging from various harvesting reports, it looks like the year of Pinot Noir, Chardonnay, Sauvignon Blanc and Pinotage. The quality is great. Look out for big prizes to be won on the world stages later this year. The reverse of our low volume and seemingly good quality in the Southern Hemisphere was observed at ProWein, with the Northern Hemisphere boasting with volume together with stellar quality bottled for consumption this year. 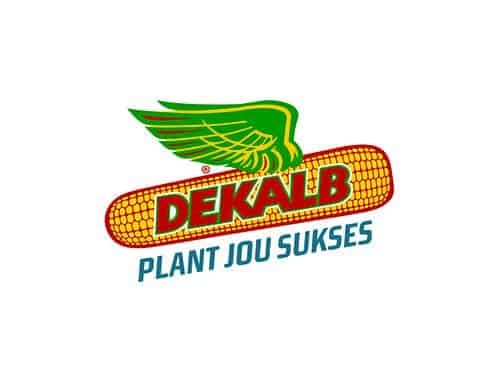 Negotiations this year is of relative importance, considering the good pricing and quality in the Northern Hemisphere. The big question is, will there be enough wine for the South African consumer and how will this affect the winemaker and labourer in the long run? At least we have inspiration from all the weird and wonderful beverages in the world to try. Heinrich Bothman is a certified Cape Sommelier, wine evaluator and judge. He has a decade’s experience in the wine industry. Heinrich studied Business of Wine at the Graduate School of Business of the University of Cape Town and also obtained his international judging qualification from Stellenbosch University. 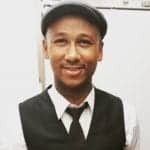 Opportunities abound for black winemakers, but what about ownership?